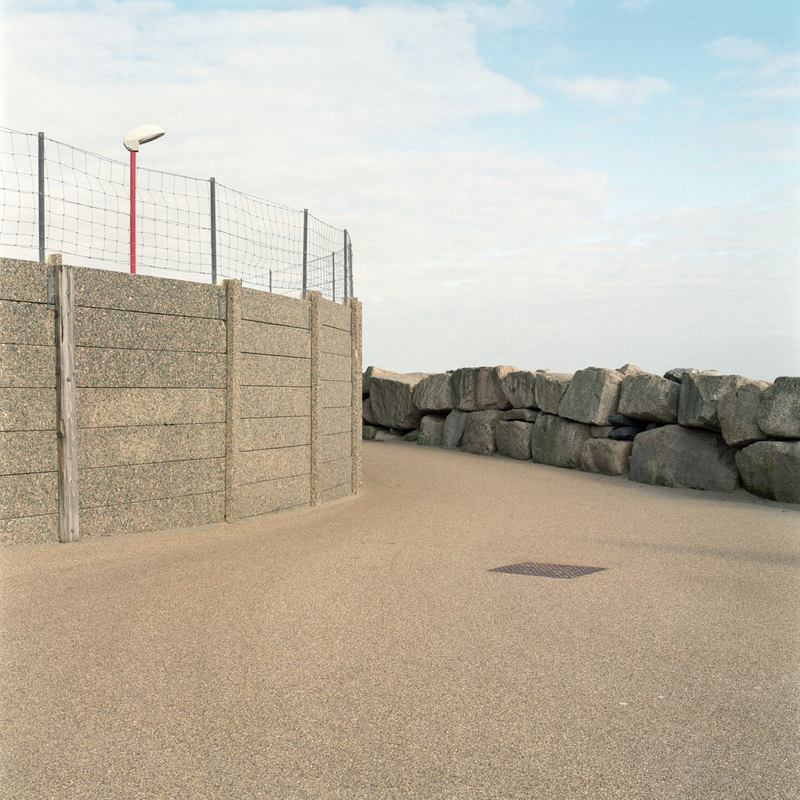 From the series, The Fortified Coastline: Between 2010 and 2012, Victoria J. 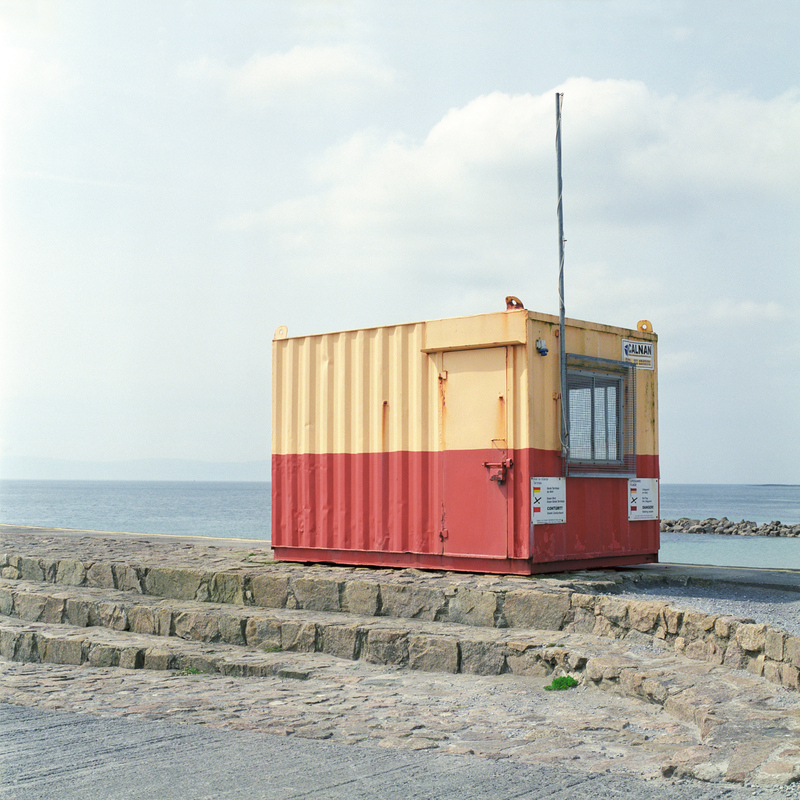 Dean travelled the coastline of Ireland to explore the built environment of the coastline, surveying the architecture of recreational space that exists, often in discord with the purpose of the space and the unrestrained natural environment. A linear interface between nature and the encroachment of human development, the coastline reflects a space of contradictions. By establishing a series of fortifications these recreational spaces reflect systems adopted by societies and authorities, the boundaries of which may be physical or psychological. Fluctuating between utilitarian and recreational, functional and ornate, these artificial structures and buildings of current and former use jar with the fluidity of the surrounding environment. Nature is often portrayed as a threat as various coastal reinforcements are implemented to guide persons away from perceived risks. Multiple fortifications including urban furniture encourage us to observe the natural environment from the safety of the man-made, be it from behind a wall, or a bench, beyond which lies a configuration of warnings. When viewed collectively, patterns become evident demonstrating a culture of coastal space of repetition, each varying only in aesthetics. Victoria J. 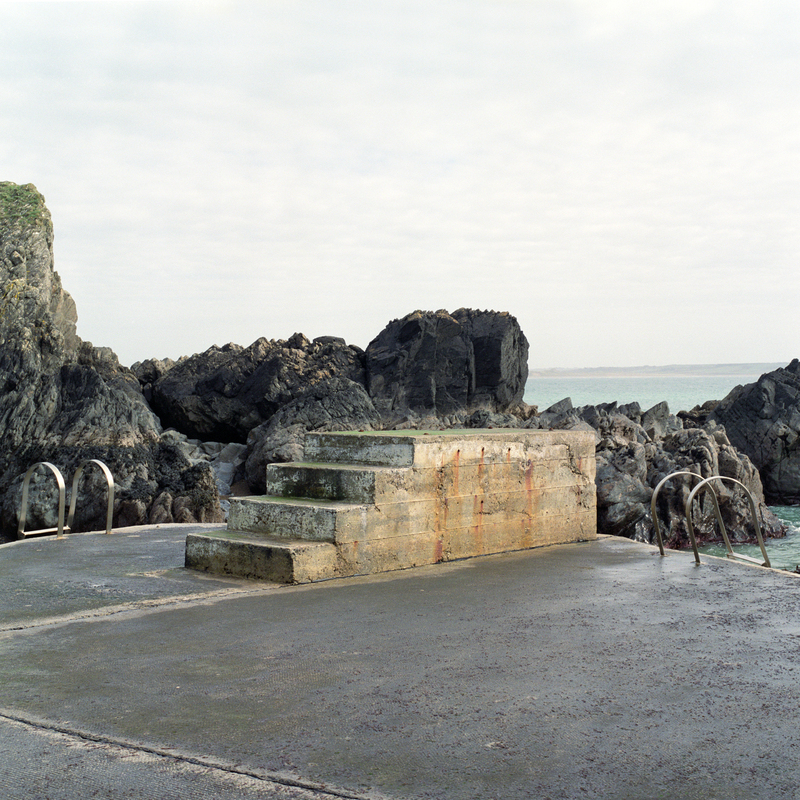 Dean (b. Belfast, 1980) is a photographic artist based in Northern Ireland. Her work has been exhibited and published internationally including the Royal Academy Summer Exhibition 2015, Royal Academy of Arts, London; 185th RHA Annual Exhibition, Royal Hibernian Academy, Dublin; Greetings From Ireland (Ángel Luis González, curator) at The Library Project, PhotoIreland, Dublin and Triennial of Photography Hamburg, 2015; Circulation(s) 2014: Festival de la Jeune Photographie Européenne in Paris; Northern Ireland: 30 Years of Photography (Karen Downey, curator; Colin Graham, publication author) at Belfast Exposed and The Mac in Belfast, 2013; the Magenta Foundation’s Flash Forward 2013 in Toronto, London and Boston; and PDN’s 30 Emerging Photographers to Watch for 2007, New York. Represented by the Golden Thread Gallery (Belfast), Dean was featured in 2010 at SCOPE New York and in Elective Perspective (Peter Richards, curator) at Galeria Arsenał in Białystok, Poland. Solo exhibitions have included RUA RED, Dublin in 2014; The Naughton Gallery at Queens University, Belfast in 2013 and the Millennium Court Arts Centre, Portadown, in 2012. Her work is held in the Arts Council of Northern Ireland Collection and a number of private collections in the UK and Ireland.